Theories in Adult Education – IDP104 (40 hours) This course looks at the more in depth study of Adult Education. It describes theories and practices in the field. Facilitating Adult Learning – IDP105 (40 hours) This course brings the theories closer into practice by describing community and institutional based education and their relationship to Adult Education. Participants will further learn about developing presentation and decision-making skills while facilitating groups and teams. Instructor Practicum – IDP106 (20 hours) This course collectively brings the knowledge and skills acquired in the previous courses into practice. It provides hands-on practical experience in either a traditional classroom or e-learning environment. The Practicum may be completed in class or online and is comprised of 10 hours of observation and 10 hours of teaching. *Completion of the IDP Foundations is a pre-requisite to register in the IDP Advanced. For instructors who would like further training and development the IDP Advanced provides an additional 100 hours with a course focus on learning theory and facilitation. The Practicum provides opportunity for instructors to get hands-on observation and classroom teaching experience with a more experienced instructor in their field and transforms the online program into a collaborative learning Capstone at the end. 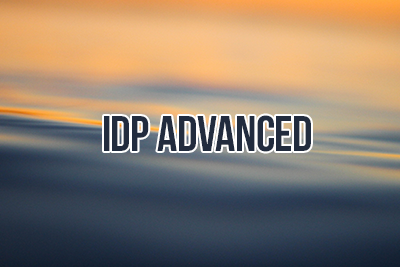 *Completion of the IDP Foundations is a pre-requisite to register in the IDP Advanced.